Checked the throws against the values you provided jpot and they were actually pretty close. Examined the plane again to see what else might be amiss and discovered that I had no thrust angle on the motor. Added a little down and right and today she flew a lot better. I had to use the 2200 mAh and a couple of oz additional weight to balance her (like last week). My experience is that you have to fly her four channel, the rudder isn't a luxury or option, you have to use it. Because I was more comfortable with her today I took her up a couple of times. I think that I am going to move the motor forward, or servos back (or both!) to see if I can get her balanced on a 1600 mAh 3S because I think she would do even better with less weight. Looking forward to seeing what you will do with the re-build. 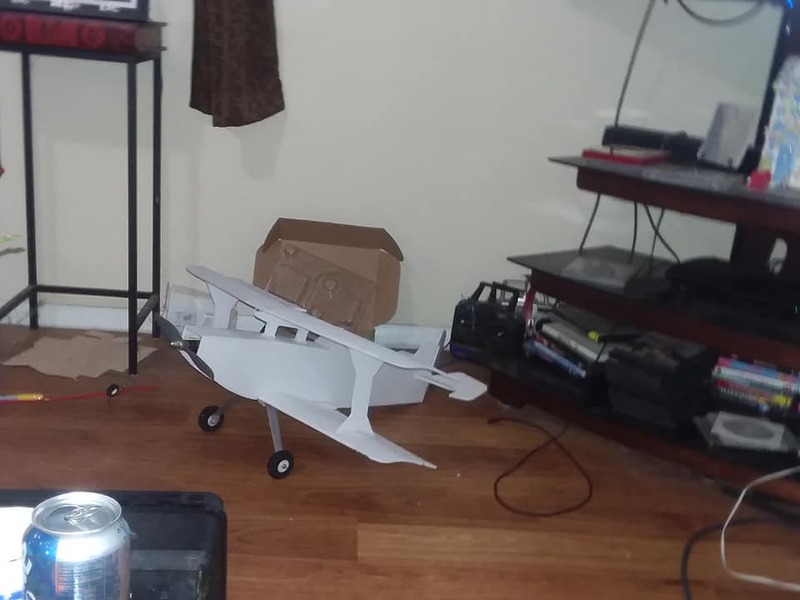 Found this biplane on rcgroups by Tony65x55 and there were tons of good feedback so I decided to convert it to more FT style build techniques. 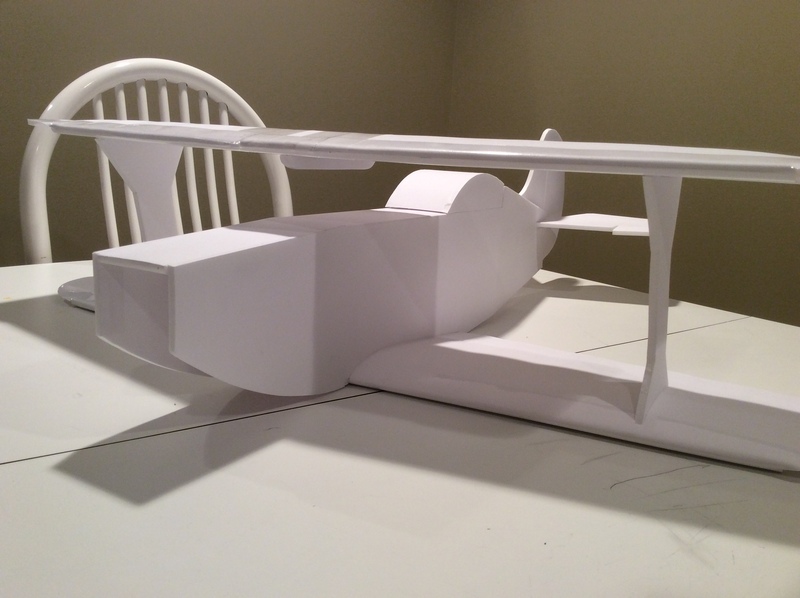 The plans were also shrunk a little bit so that the entire width of one wing could fit on the 30” side of DTFB. 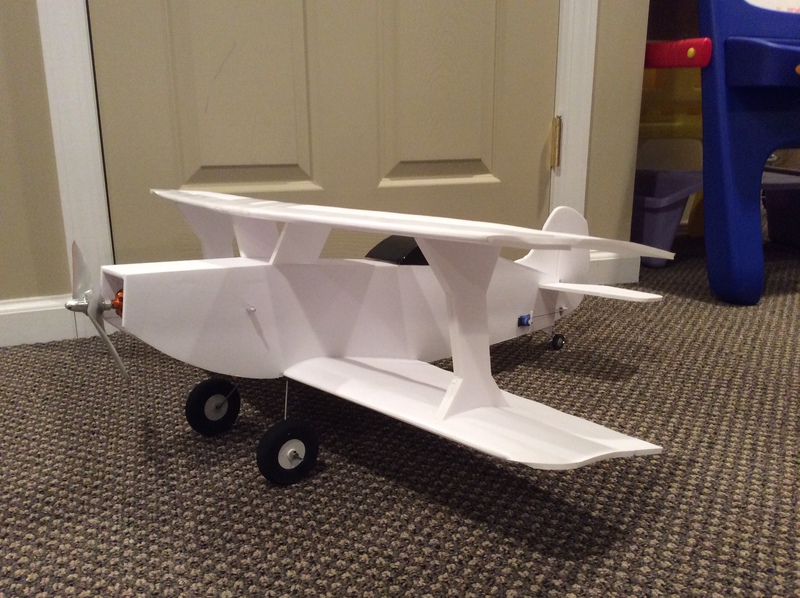 I have a few items left like a steerable tail wheel and the rest of the decals to finish up. Figured I’d post to see if there was interest for the plans with the decals. It’s a bit tedious to trace the design for this one so for now I have just done the top wing. Not sure when I’ll get to maiden as my area in NJ just got a foot of snow the other day. I use a shorter FT style powerpod but the longer one could easily fit. In the plans I will move the motor back about 1” and this would then fit a 2200 3s. Currently balances well with a 1300 3s. Quick question, tell me a bit about how you are folding the KF step leading edges? Not a noob, but not a master builder like you. I have a fun cub, simple scout and a gazillion FT Flyers under my belt. Wow "master builder" - never been called that before - thank you! It's actually quite easy. 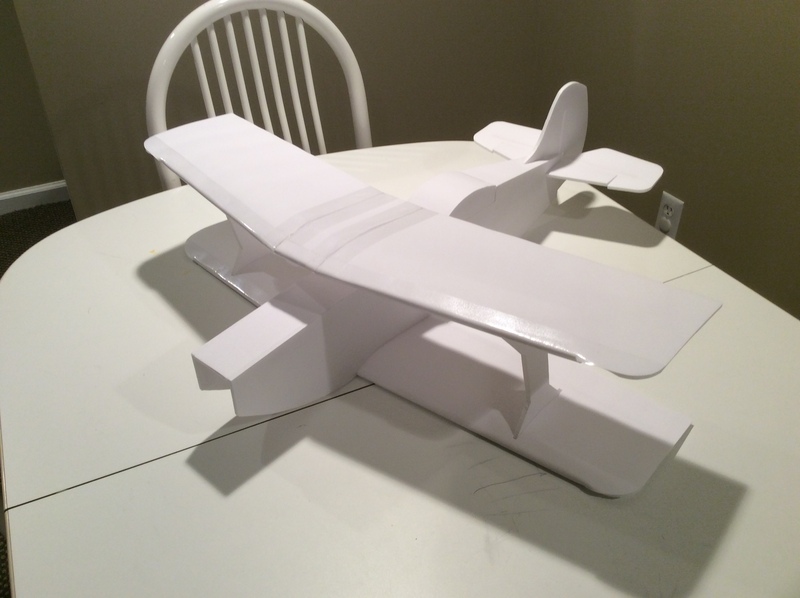 What I do is not that different than the fold over wing you did on the scout. The step remains connected to the main portion of the wing and a 50% score cut is done at the leading edge. Then a double bevel like a typical FT wing build but make your bevel wider than normal. I then take the blunt end of a big sharpie marker (with cap on) and run it along the bevels on either side to compress the foam/paper a little bit. BTW - doesn't have to be a sharpie - anything with a rounded end. A piece of packing tape on the outside and then just fold it over. There will still be some resistance but you just have to press firmly. Do this a couple of times to get the foam along the crease compressed and then glue it. Make sure to hold a little longer than normal so that it doesn't spring open. J, that looks really sweet. I have seen that plan on RCG but didn't want to build it due to that "mono block" design and the size is smaller than i like. But at 28" WS i think that a C pack motor is overkill. It would be cool to see FT do this as a kit but I don't think they would want to introduce KFm wing designs although they should as it's a far simpler build for newbies. Thanks jamboree. C pack is overkill but it’s all I’ve got. Although easy to build the KFM wing stalled on me on a slow turn coming in for a landing and in she went. I prefer the typical FT undercamber wing and started to rework the plans on this one to convert it to a foldover. It won’t be pretty as the fold over will occur in three sections due to the shape of the wings. Maybe I’ll get back to this in the future but too much going on at the moment. The weather is killing me as it’s been raining the last two weekends and I’ve got three planes to maiden. Back to revisit this build and convert to a fold over undercamber wing. Modeling things as far as fuse mating to the lower wing similar to what was done with the baby blender. 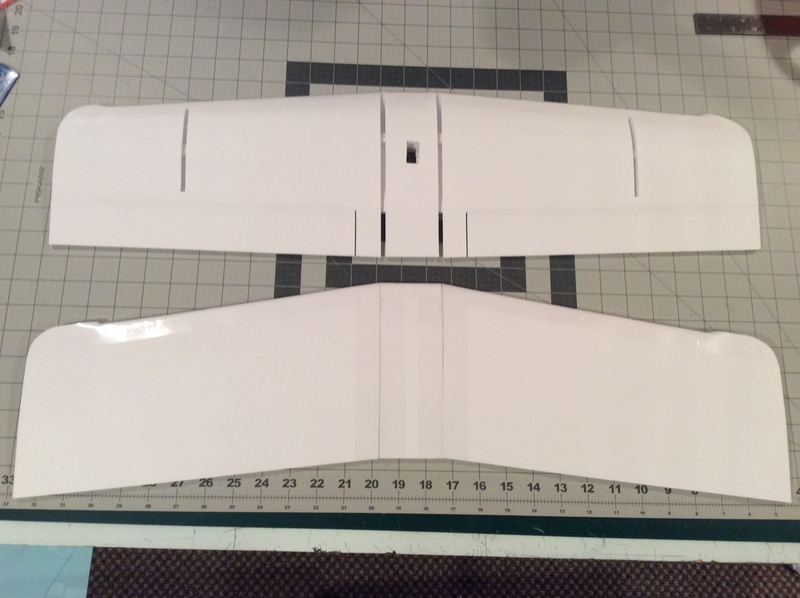 Bottom wing at the top of the picture with channels for the fuse and wingtip supports. Top wing is at the bottom of the picture. 3 piece foldover but happy with how it came out. Im working on tracing it now, i was just looking ahead on how to build the kfm wing, but Im going to wait now till you get the fold over wing figured out. I need all the stability i can get lol. Wouldn't the bottom wing be stronger if you made the center one solid piece and cut the channels in the fuse instead of the wing? 1. It worked on the baby blender for FT which makes it good enough for me. Also I've been flying my blender for two years and no issues. 2. I'm lazy and getting the curve right on the fuse cutout never works for me. Will see how it goes. Built a bit of the fuse yesterday and it fit well but need to adjust plans a bit as opening was too large. Will upload some pics soon. More progress this morning. Top wing and struts dry fit for now. Taped on electronics and I can balance a 1300 or 2200 3s as the CG is where the battery goes. Need to figure out how to re-work a few thins as this is definitely more of a pitts vs and eagle. ...and done. Hope to sneak in a maiden this weekend. Yes dude, that is awesome i am so ready. Good luck on the maiden. Nice - can't wait to see vid of the maiden! 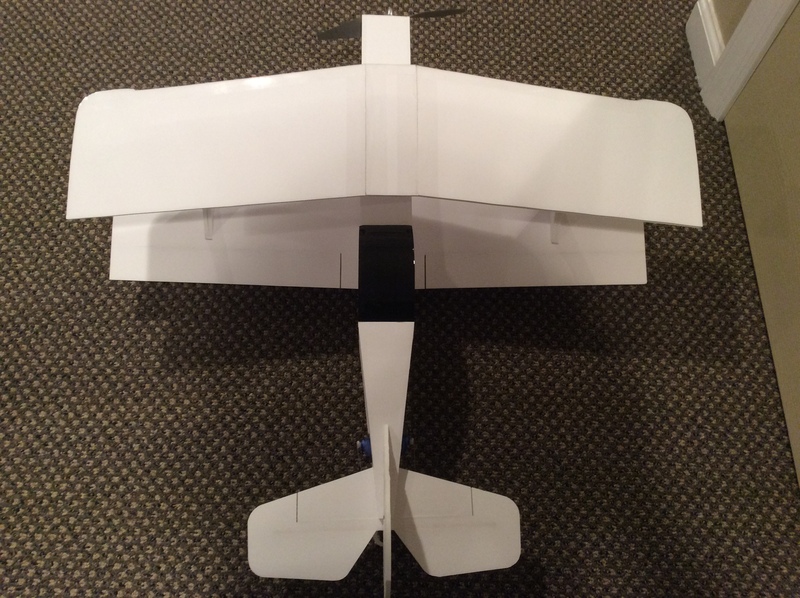 @miraspen - first post updated with the foldover wing plans. Let me know if you have any questions. is there a spar for the wings, or do i just foldover? Oops, sorry about that. I just did a 6mm spar doubled up standing vertically. It is placed on the dashed blue line.